I am giddy about this pin on my Pinterest board, “Brilliant Ideas”. 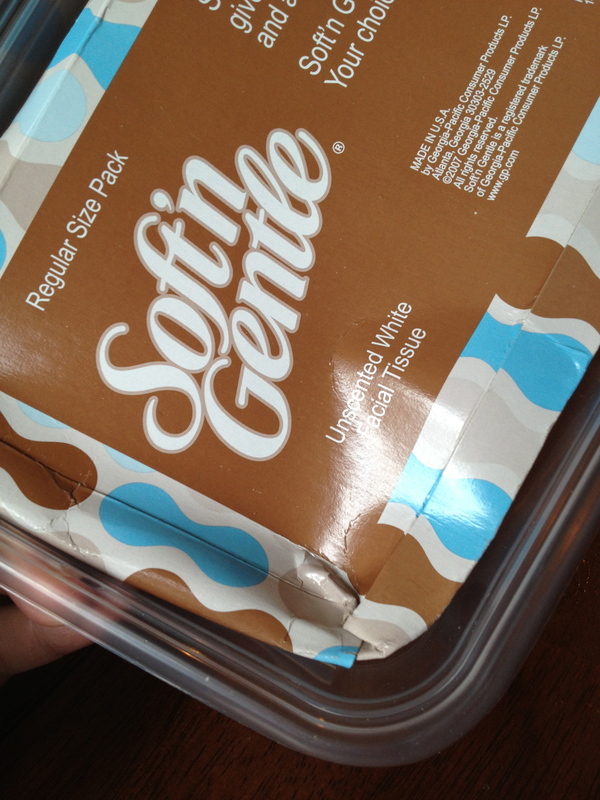 There is something that gets me worked up over a squished, dented, almost destroyed box of tissue in my car. It makes me crazy. So when I saw this pin, I got really excited. Also, this Pinterest project is EASY PEASY. It took me about 20 minutes from start to finish and that was with some equipment malfunction. 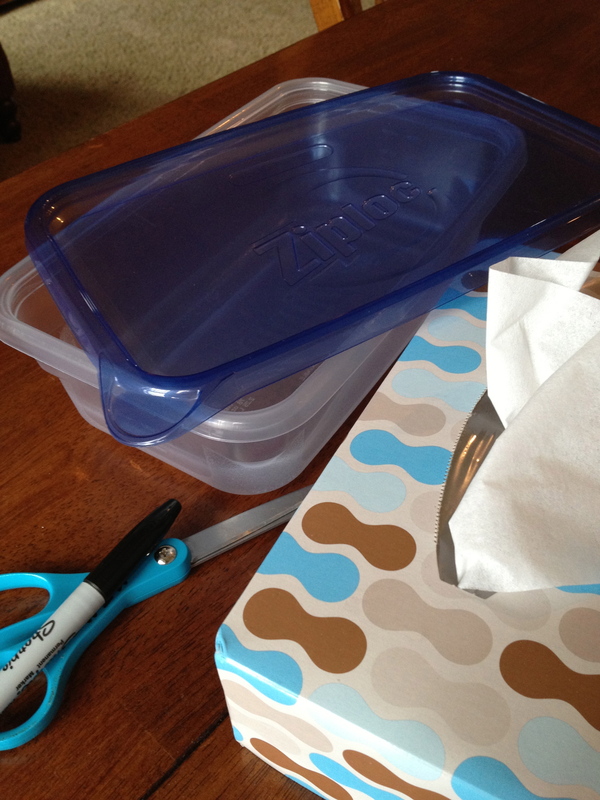 Here are the supplies I used: a disposable food container a little bigger than the size of your tissue box, a tissue box, very strong scissors, and a sharpie. 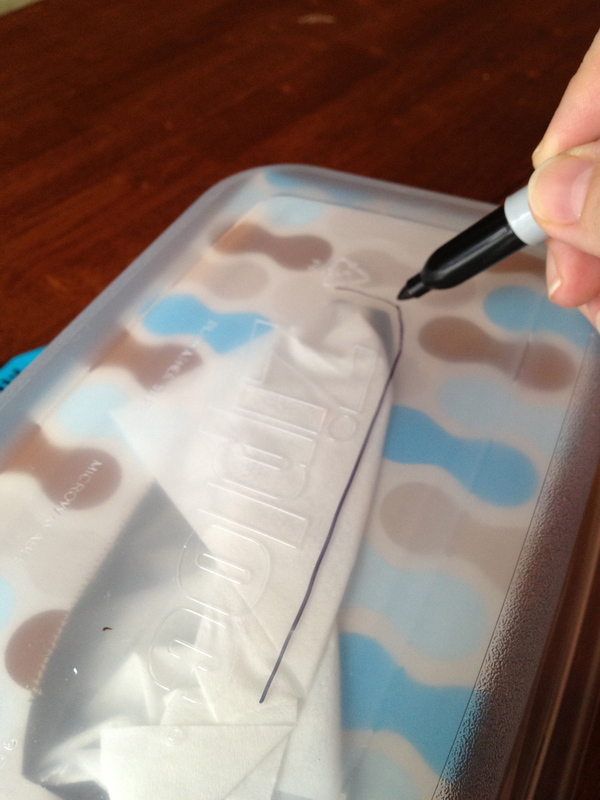 #1 Put the tissue box inside the container and trace the hole with the marker. 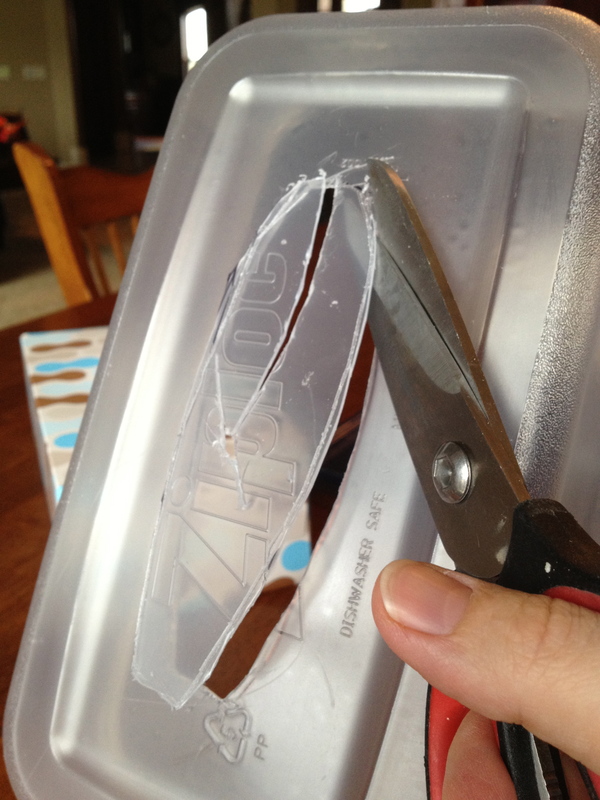 Now this is where I learned my blue scissors literally couldn’t cut it. 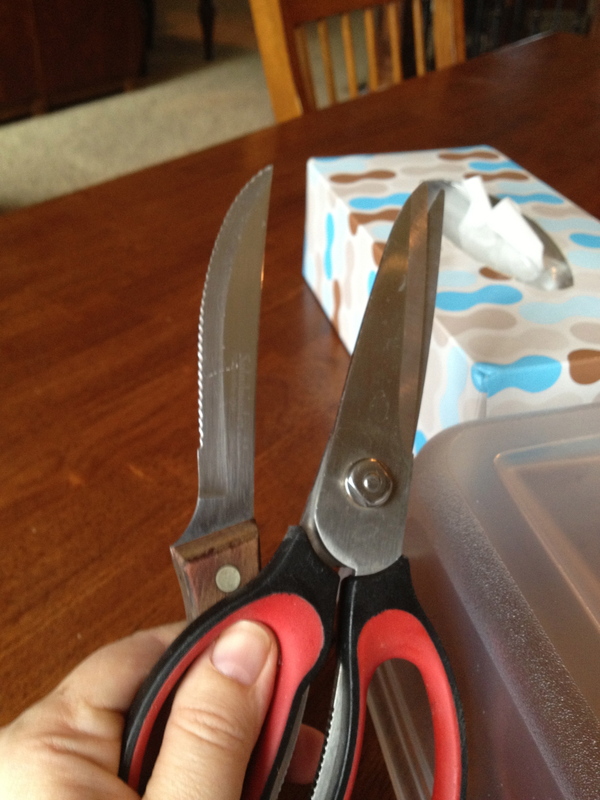 So I had to get my quality steak knife (be careful) and my heavy duty kitchen sheers. I should have started with them to begin with. 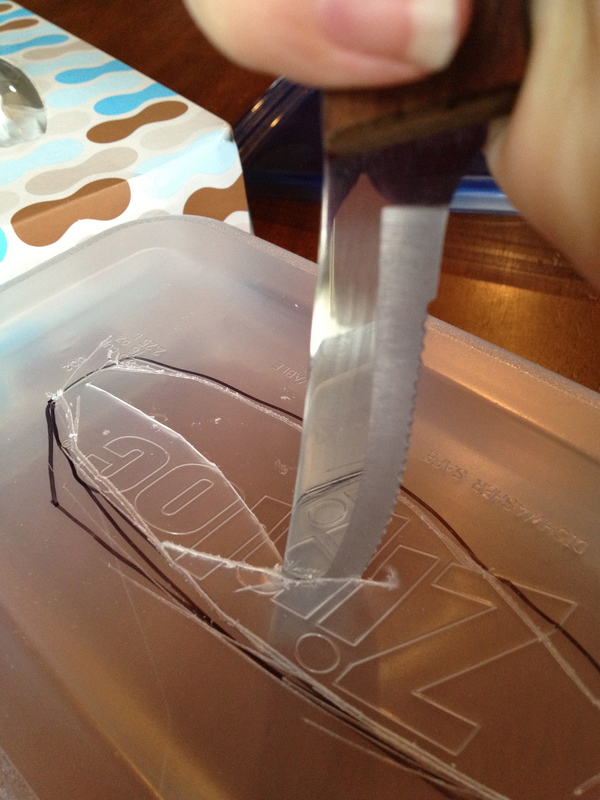 #2 Stab in the middle of your drawn hole and then saw with the knife in a straight line to the top of the circle. This will now allow you to cut the hole out with your sheers easier. 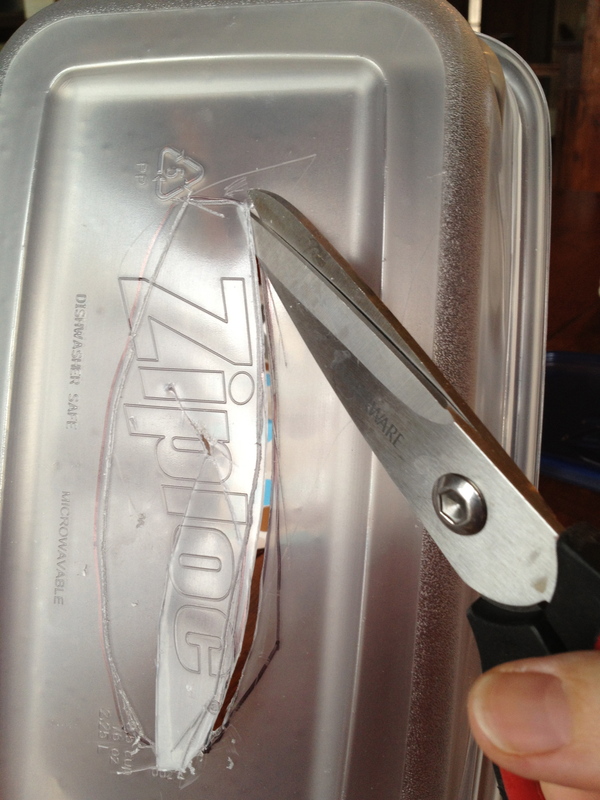 #3 NOW, use those heavy duty scissors and cut out the hole. 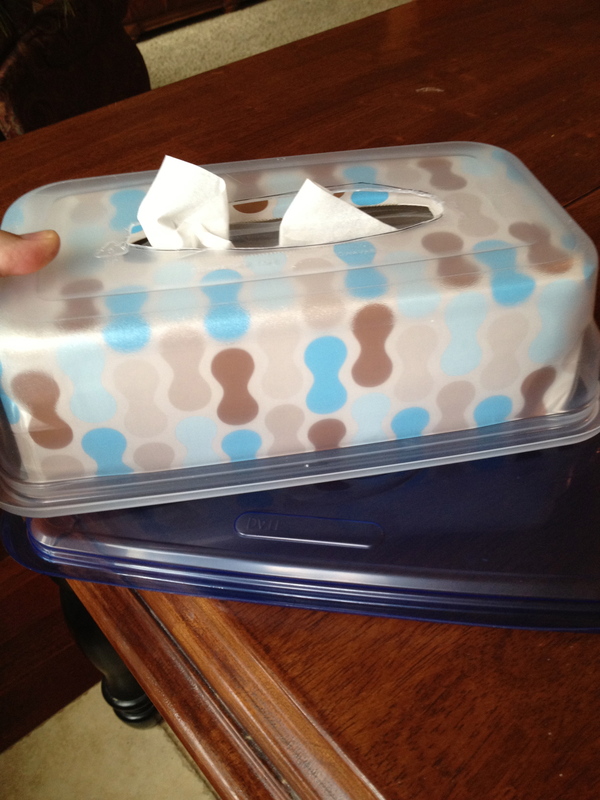 #4 Put the tissue box inside the container to make sure it will close with the lid. Mine didn’t, but don’t worry! 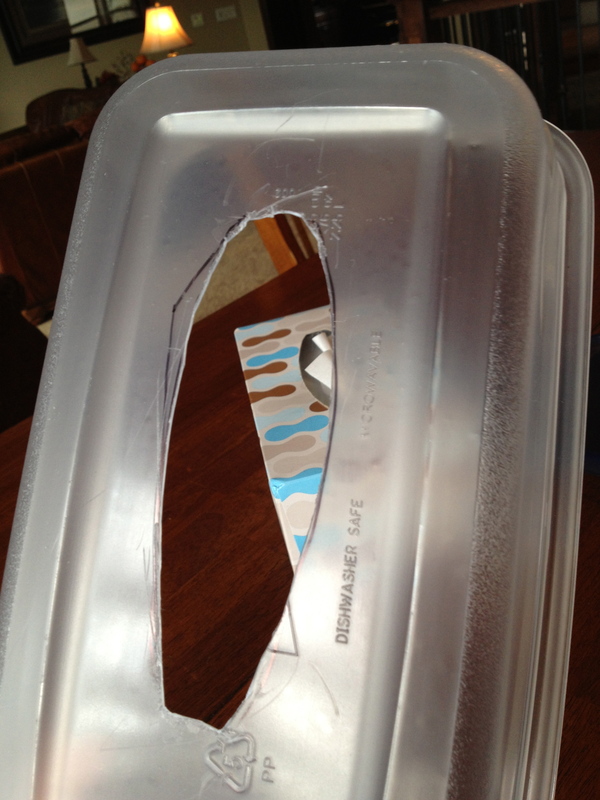 …squish down the corners and press the box into the container until you can fit the lid on. … voila! There you have a hard case tissue holder for the car!!! 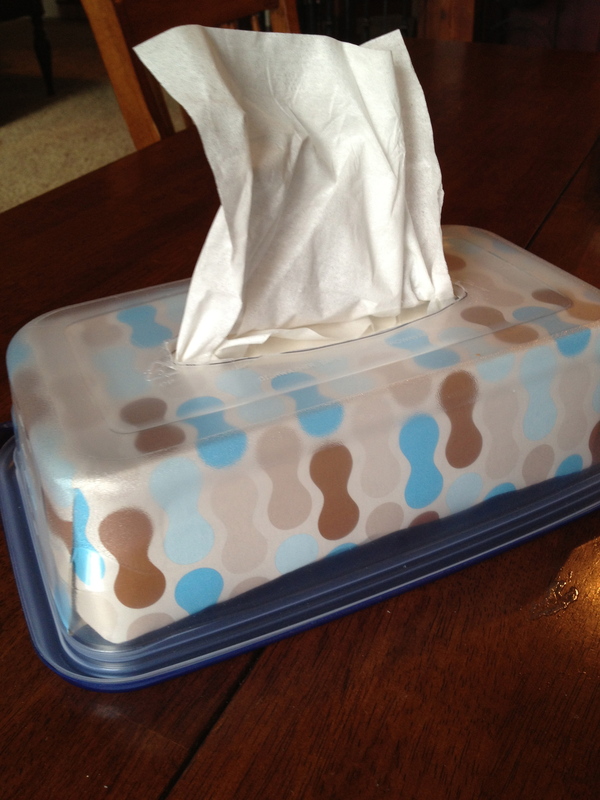 My tissue box will now last until the very last tissue. Sweetness. 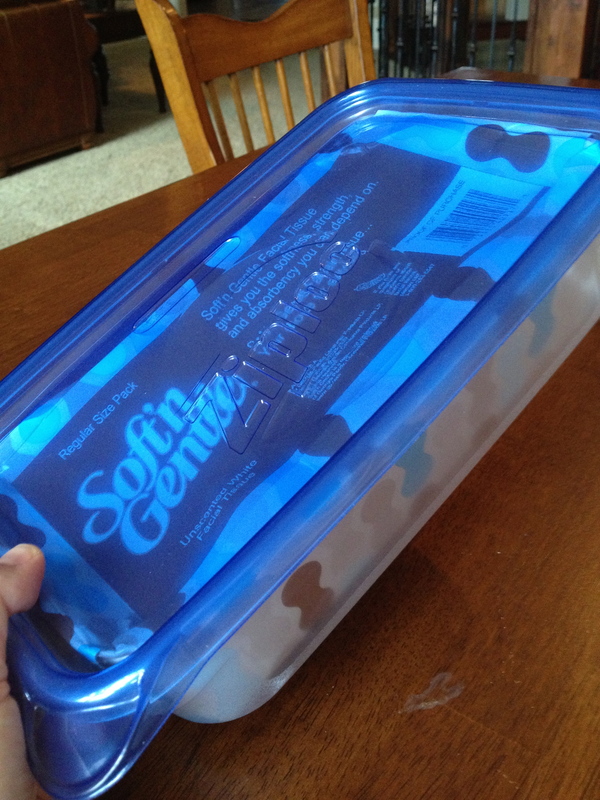 UPDATE: I still have this tissue holder in my car and yes, it is just as sturdy as when I first made it. It sits on the floor in my car and receives much abuse from children’s feet getting in and out of the car. Overall: 5 stars for usefulness and hardiness!